Distinguished guests, ladies and gentlemen, colleagues, I am pleased that I have been invited to bring opening remarks to the 7th Annual Arbitration and Investment Summit, Caribbean, Latin America and Other Emerging Markets 2019. I would like to extend a warm welcome on behalf of the Government and people of The Commonwealth of The Bahamas, to all our international speakers and Delegates who may have travelled from abroad to participate in the Summit. Gatherings such as this provide a unique opportunity to share information and provide updates on what policy makers are planning for the sector. Having reviewed the agenda and the topics to be discussed I commend the organizers for such an ambitious forward looking agenda as many of the topics to be discussed by the panelist are topics presently being considered by policy makers. I have noted with interest your Theme” International and National Arbitration Centers: Cross Border, Cooperation and Partnerships” and believe it important, relevant and timely as The Bahamas seeks to position itself as a credible centre for international commercial arbitration matters. We are presently in the process of enacting legislation which will impact both international and national arbitration matters where The Bahamas serves as the venue. 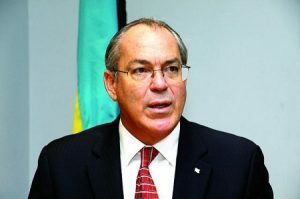 When I addressed participants last year at the 6th Summit, one of the things I noted was the Government’s awareness of The Bahamas’ continued reliance on tourism, financial services and foreign direct investment as drivers of the Bahamian economy and the Government’s commitment to job creation, improving the standard of living of Bahamians and diversifying the Bahamian economy. I also noted that these goals have to achieved in the context of an increasingly globalized society. Click here to read the remarks in their entirety.